Dog Diabetes – What Is It And How To Manage It? If your dog has diabetes, you shouldn't lose hope. Your pup can lead a long life if you give him proper care and attention. 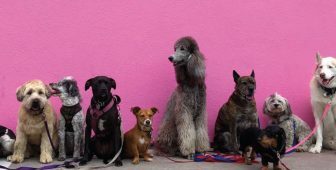 In today's article we will talk about this condition that affects both humans and dogs and the things you can do in order to make your dog's life easier and happier. Dogs can be affected by diseases humans suffer from, and unfortunately, this is true for diabetes too. Unfortunately, canine diabetes can’t be completely cured yet, but it can be successfully managed. Dogs that suffer from diabetes can lead a long, happy life if their condition is given correct treatment. So if you happen to be an owner of a diabetic dog, do not panic, you can do plenty of things that will make your dog’s life much easier. Let’s discover what diabetes in dogs is, what are its symptoms and treatments. Some studies also claim that they found short-term and long-term cures for canine (and maybe even human) diabetes. Read on and learn all you need to know about this disease. Is There A Cure To Diabetes? It occurs when the body can’t control the levels of glucose (sugar) in blood. Glucose is a primary source of energy for all the body cells, and in order to get into the cells glucose needs insulin. Without insulin, glucose just doesn’t provide any fuel to the cells. Furthermore, insulin is the hormone that ensures the right absorption of glucose(2) in the bloodstream and is produced in the pancreas. More specifically, insulin is produced in the beta cells(3) of this organ that make about 5% of it. So basically, diabetes is an illness in which, due to insufficient insulin levels, the body isn’t capable of breaking food down to energy that is essential for the cells to function. This condition is dangerous as this can affect the cell’s ability to grow and renew. As you probably know there are two forms of diabetes. Type I Diabetes is the one that affects dogs the most. In humans, it occurs mostly in young children. This type of diabetes is caused by insulin deficiency and is, unfortunately irreversible. Type I Diabetes is not caused strictly by diet and feeding routines. There are numerous factors that affect it and potentially cause it and they are still being explored. Type I Diabetes is a lifelong condition that has to be treated constantly. In some cases, this condition can develop in pregnant dogs too. This type of diabetes can be reversible in some cases as it is often a consequence of bad diet routines or obesity. (4) Unlike the type I, in this case, the pancreas produces plenty of insulin but the body doesn’t react to it. The body cells are resistant to it because of the very high levels of sugar. Thus it is also called Insulin resistant diabetes. While this type of diabetes occurs in more common in adult humans and even cats, it is very rare in dogs. Insulin resistant diabetes might occur as a result of other diseases or autoimmune disorders. The type II is reversible with corrections in diet and exercise routines. But what causes this dangerous pancreatic damage? Evidence has shown that about 50 percent of diabetic dogs developed pancreatitis due to an autoimmune disorder. (6) The causes of these diseases that attack one’s immune system may be very diverse. 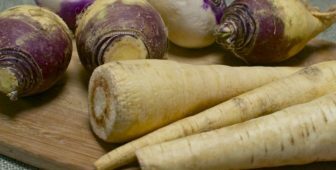 They could be linked to genetic predisposition, but could also be caused by environmental factors. Other risk factors as well influence the chances of developing canine diabetes, and those include metabolic syndromes, frequent inflammation, and toxins. Even if it is often presumed that obesity causes diabetes, when it comes to Type I Diabetes, this really isn’t true. However, being overweight could possibly lead to disorders and diseases that cause diabetes, so that proves once again that your dog’s diet and exercise should always be of great importance no matter what the overall health state of your pet friend. What dogs are at the highest risk of getting diabetes? 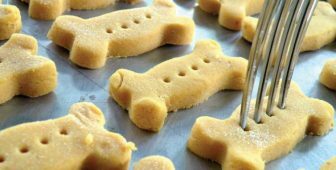 Young puppies are hardly affected by the “sugar disease”. Canine diabetes mostly occurs over time and older dogs are at a high risk of developing it. In some cases dogs may develop diabetes due to a condition they’re in that can be reversed once the pup goes back to his normal state. Let’s see what these scenarios are. Cushing’s disease may lead to developing diabetes but can be reversed once treated. The long-term intake of some drugs (especially steroid drugs) can put your dog at higher risk of getting this disease. In this case, reducing the use of drugs can set your dog’s health back to normal. Female dogs can develop gestational diabetes during pregnancy or insulin resistance during their heat cycle. Once the pregnancy or the heat cycle is over, the symptoms might completely disappear. 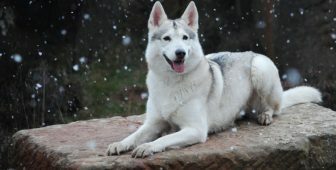 However, researchers have found that diabetes is more common in certain dog breeds. The following breeds are at higher risk of developing this condition. Certain connections between these breeds suggest that the genesis of diabetes might possibly have a genetic component. Even if a diabetic dog may lead an active life if treated well just like any other healthy dog, there are some cases in which you have to be more cautious. Certain disorders can make diabetes harder to handle and could lead to further health complications. The problem here is that diabetes makes a perfect base for other disorders to develop onto, so you have to be very persistent and treat this disease well. Dogs with canine diabetes are susceptible to various types of infections. The areas most affected by infections are mouth and gums, but the most common of all is urinary tract infection (UTIs) because high levels of sugar in urine make the bladder a perfect place for bacteria to grow. So if your dog has diabetes, you should bring him to regular follow-ups for urine culture and make sure to brush your dog’s teeth at least twice a week. 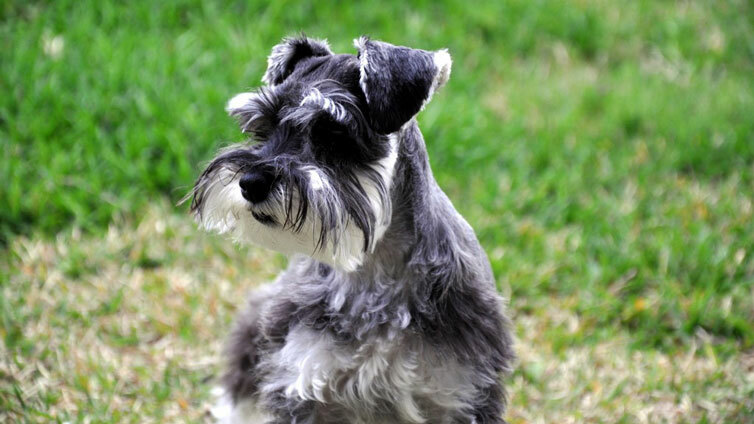 Another disease found frequently in diabetic dogs is Cushing’s disease. In fact, one study showed that 23% of diabetic dogs resulted positive to tests for Cushing’s. Usually, it’s the Cushing’s disease that develops before diabetes. 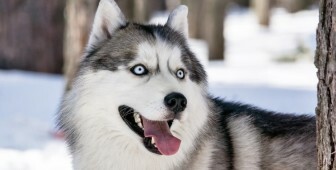 Due to sugar attacking dog’s eyes, canine diabetes often leads to cataracts. This means your dog might lose sight, and though it can be surgically treated, dogs still manage to cope well with the loss of sight because of their very sensitive senses. With proper care and medication, most diabetic dogs go on to lead happy lives just like other healthy pups. The highest risk in survival rates is in the first six months of treatment. This is when insulin therapy is introduced and the body has to regulate to the treatment. Once the therapy is stabilized, dogs that have diabetes can have a lifespan just like the non-diabetic dogs would. However, we have to mention again the importance of maintaining your dog’s health at peak, as diabetic dogs are actually more likely to die of other diseases and infections than of diabetes. Chronic diseases usually have a slow onset and the same stands for diabetes. The symptoms that imply to the existence of this disease might seem unimportant and can often go unnoticed. Most of the symptoms aren’t exclusive to diabetes and that’s why owners often don’t realize their dogs have it until the chronic disease causes a drastic change in the dog’s behavior and health. In order to get an idea if your dog might be diabetic, run through this checklist of most common diabetes symptoms. Thirst – Dog will start to drink more water. Hunger – You will notice that your dog is getting extra hungry. This is due to glucose deficiency that makes his cells function poorly. Frequent urination – Frequent peeing is not only due to drinking more water, but is also influenced by the sugar levels in blood and urine. The sugar found in urine makes bacteria grow which leads to urinary tract infections. A bloody urine is definitely a sign that your dog is suffering from a UTI. Weight loss – The inability of cells to use sugar without insulin causes the body to burn off tissue to compensate the lack of glucose. As a result, your dog will lose weight. Vomiting – The disorders in pancreas cause stomach issues that lead to vomiting. Weakness/Fatigue – Due to excessively burning off tissue, accompanied with the inability of cells to use sugar as energy fuel, the body weakens and has less energy. Glaucoma – Sometimes diabetes causes high pressure in the eye, which is known as glaucoma. This can lead to loss of vision or even to eye removal in the case of severe glaucoma. If your dog is displaying the symptoms above, it would be wise to do a urine and blood culture test as well as an overall health check-up at your vets. The diagnose of diabetes consists of blood and urine tests. These tests are performed in order to determine the levels of glucose in the blood and urine. However, the test should be repeated for a couple of times, as increased glucose is sometimes a result of stress. Therefore, detecting if the sugar levels are persistent over time or happened as a result of a particular situation is very important. If the multiple blood and urine tests detect in the end that your dog suffers from diabetes, that’s not a reason to panic or lose hope. Like many other chronic diseases in humans, diabetes too is manageable with the right care and treatment. When being an owner of a diabetic dog, it is very important to know what the treatment consists of. Besides the medical treatment, there are several aspects that need to be taken to account as well. But is there a cure for diabetes? What do researchers have in store for us when it comes to treating or curing this disease? Unfortunately, a cure that would erase this condition still doesn’t exist. However, researchers have put a lot of efforts into finding ways to treat diabetes in another fashion that doesn’t consist in daily shots of insulin after each meal. In fact, a team of engineers is working on a long-term reversal of type I diabetes in dogs. 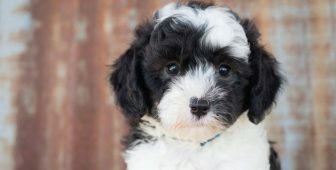 They started off with mice first, and are now aspiring to find a therapy that could make diabetes for dogs and humans much easier. Researches from Barcelona have also shown interest in finding a cure to diabetes. And for the first time, they showed that diabetes was curable in large animals with a single session of gene therapy. (10) Their work showed that after the gene therapy, dogs regained their health and didn’t show any diabetes symptoms. They continued to monitor some of the dogs that were subjected to this kind of therapy, and they revealed that over four years none of the symptoms returned. We have no information on when this cure could be found or suggested by vet clinics, however, we really hope that it will be accessible to the public pretty soon. The above-mentioned successes of researchers are still not available to wide audiences and are still being tested. However, that’s still not a reason for despair as this disease can be managed well with discipline and good care over a long period of time. The medication needed to control the intake of sugar in Type I diabetes is, as you probably know, insulin. Insulin will be given to a diabetic dog in form of injections. The proper dose and type of insulin can’t be determined in the beginning. Often, your veterinarian will need a couple of months in order to determine the optimal therapy for your dog. The first 6 months will be very important as the vet will have to get a clear image of how high and how low the sugar levels get. Be ready that your dog will have to take frequent tests and measurements as you start forming his therapy. 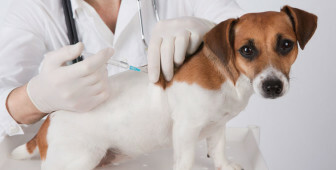 Once you have the right injection shot, you will have to inject insulin under your dog’s skin after each meal. 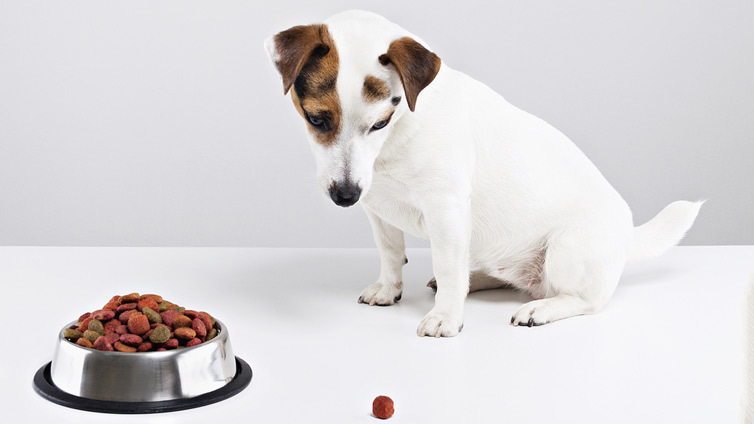 Routine and consistency are very important here, so you should feed your dog at the same time and choose the proper type and amount of food for each meal. Nonetheless, the dosage and type of insulin might change over time. You will have to periodically reevaluate how well your dog responds to insulin shots by bringing your dog to the vet and doing follow-up blood and urine tests. Also, vets often recommend spaying female dogs with diabetes as it decreases the severeness of the condition. Even if the main part of therapy consists of insulin shots, balanced nutrition and weight management are very important as they play a big role in regulating blood sugar levels. 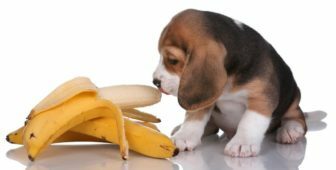 When it comes to diet for diabetic dogs, you have to make sure that your dog is eating a proper type of food. 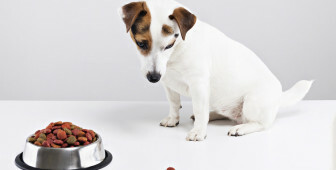 We will get back to that in a minute, but first, we have to mention that key to managing diabetes well is consistent feeding schedule and the number of meals your dog eats per day. 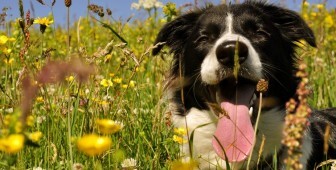 Your veterinarian will advise you on how often and how much to feed, and the correct timing of feeding and injections. The usual rule is: same dosage, the same type of food, same time of the day. The ideal frequency of feeding should be two meals a day with 12 hours apart. Dogs with type I diabetes don’t really have a single recommended diet because each dog reacts differently to amounts of fiber, carbohydrates, and protein in their food. However, there are some guidelines you can follow in order to provide a proper diet for diabetic dogs. The first and foremost criteria is that your dog likes the food and has no trouble in eating it. Avoid high-fat and high-carb diets. The carbohydrates influence the blood sugar levels after eating. So if you want to keep the insulin stable, the amount of carbs found in diet should be kept steady. If the diet is low-fat, then the amount of proteins should be increased, especially in case of underweight or overweight dogs. 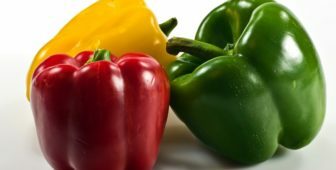 Some vets suggest adding food rich in antioxidants as they strengthen the cells such as broccoli, kale, celery and cranberries. On the other hand, food that is rich in sugar should be avoided even if it contains other healthy nutrients. A perfect example would be a mandarine that is not advisable to dogs with diabetes. Exercise is a crucial part of managing diabetes. Not only in dogs, but also in humans, exercises proved to be very effective in reducing blood sugar and the need for added insulin. While proper exercise is a blessing for dogs suffering from type I diabetes, overexercising your dog can be very dangerous. Moderation and timing are what you should keep in mind when speaking of your dog’s activity routines. Same as for nutrition, keeping a consistent schedule in terms of the type and length of activity as well as the time of day is critical. The best way to keep your dog’s sugar levels under control is to exercise him for no more than 30 minutes before the evening meal. However, if you’re planning an activity that might be more strenuous for your pup, you should plan the scheduling of insulin injections too. Ask your vet how to administer the insulin shots on those occasions, and your dog will surely enjoy even an uphill hike with you. Although most owners of dogs with type I diabetes get used to giving a correct amount of insulin shots in few months, you should know that giving too much insulin or giving the shot at the wrong time might cause serious issues. When given a too big dose of insulin, dogs might experience hypoglycemia or very low blood sugar. 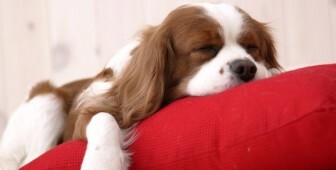 The symptoms will be obvious as your dog will start trembling and won’t be able to rise. In this case, it is crucial that you know how to react. Talk to your veterinarian about the unexpected situations and an accurate emergency plan, as in these cases it is very important to react quickly. If your dog has diabetes, you should not despair. Your pup can lead a long life if you dedicate some attention and time to him. 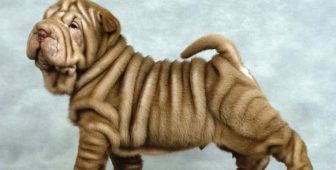 In this case, your veterinarian will be your best support and give you all the specific advice needed for your dog. 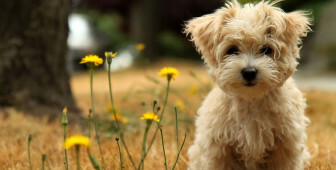 However, we will list the things you can safely do in order to make your little dog’s life easier and happier. Why Isn’t My Dog Drinking Enough Water?